Babies need to stay warm, especially at their feet. 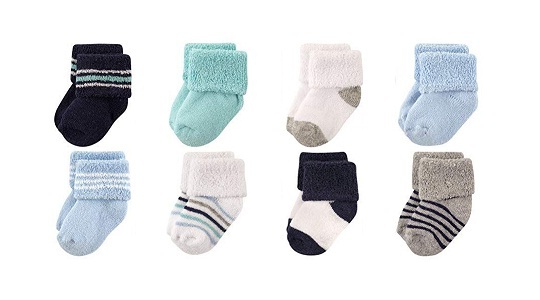 Give the parents a cute pack of socks to keep their little one's feet warm and dry. These can be used or all the seasons and they'll need plenty of pairs because these are likely to get lost in the chaos. Available in tons of colors and patterns, you will love to have bundles of it ready for your next baby decor.